Nice JAWA 350cc type 360 from 1972 with Velorex sidecar from 1974. Rides and runs well, engine and frame are matching. 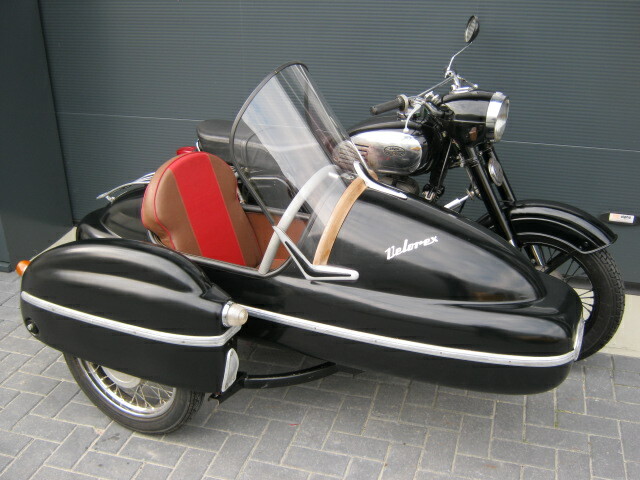 Windshield tyres of the motorcycle and pistons are new. With Dutch registration.